Almost every other person at some point of time in their lives will be either using a Denture or Retainer either by themselves or in their family. One thing which is important to note with either Retainers or Dentures is that they are always removable and need to be removed from the oral cavity on a daily basis. With Dentures being used to replace missing teeth, retainers are usually used to help in Corrections during Orthodontic treatments or after treatment to maintain the acquired result. Both Dentures and Retainers are made up of similar material which help give rigidity and help in decreasing the weight of the dentures or retainers in check. One of the most common questions which we get from patients after using the Dentures or Retainers for some days is, How to keep my Dentures clean? or How to make my Dentures smell good? These are the questions which we are going to answer in this post showing you the best and natural ways to clean your Dentures and Retainers most effectively. Which is the best way to clean Dentures and Retainers? There are many chemical tablets available in the market which need to be dissolved in water and you need to soak your Denture or retainer in it overnight when not in use for Dentures and in case of Retainers in the morning when not used. Some of these tablets contain a substance called persulfate which has been termed as harmful. While most tablets do not contain this substance some do and it is better to ask your dentist the best option. With the option of disinfected tablets out of the way the other option is to soak the Denture or Retainers in Distilled water while cleaning with Baking Soda which is the best and safest method to both Disinfect your Denture and Retainer as well as to help clean it. 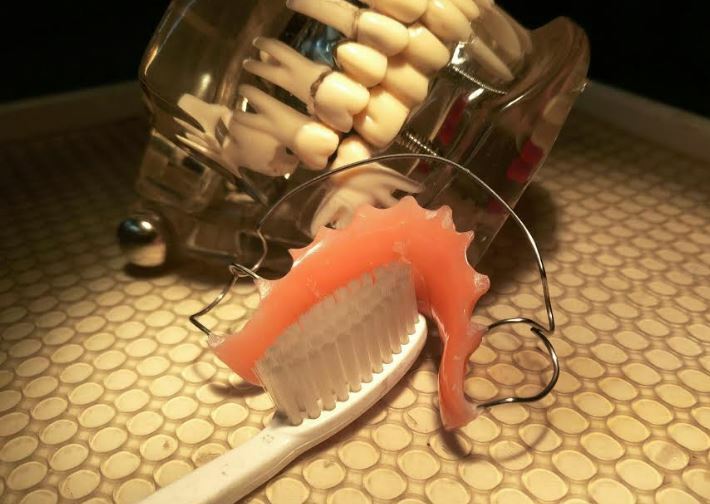 It is important to note that Retainers or Dentures should never be let to dry as the materials used to manufacture them are usually porous and when let to dry, the biofilm usually starts to form on top of the denture or retainer. So when removed from your mouth it should be placed in any container having Distilled water with Baking soda or just Distilled water. In the morning or before placing the denture in your mouth you need to Brush it with any Soft Brush or Denture Brush which can be obtained separately either by using any regular Toothpaste or not. With Toothpaste you can help to decrease the smell. How does Baking Soda help in Disinfection my Denture or Retainer and is it not harmful? Baking Soda is known to primarily increase the pH which is the main advantage of the substance to help in disinfecting the Denture or Retainer. It helps in controlling bacteria from growing on your denture. The bacteria which are harmful usually require acidic environment to survive and with the use of Baking Soda which decreases the acidic environment and makes it pH higher naturally helping in decreasing the number of bacteria. Baking Soda not only helps in decreasing the bacterial flora but also acts as a deodorizer decreasing the smell from the denture. Does using Tooth Brush on a Retainer or Denture damage it in any way? It is a common misconception that a tooth brush will damage a Denture or Retainer, which is false. Using a Medium to Soft grade tooth brush does not affect the Acrylic Denture or Retainer. I am Varun, a Dentist from Hyderabad, India trying my bit to help everyone understand Dental problems and treatments and to make Dental Education simplified for Dental Students and Dental fraternity. If you have any doubts feel free to contact me or comment in the post, thanks for visiting. Ya i read your blog , before i was really worried about clean dentures but now i got an ideas to how to manage those things. so please say about it. The use of simple self-care techniques can often minimize this problem. There are several things one can do in order to get rid of bad breath. Ask your dentist about better ways to floss and a mouthwash that has been shown to be effective in fighting bad breath. Go to a dental professional to have your teeth cleaned on a regular basis. 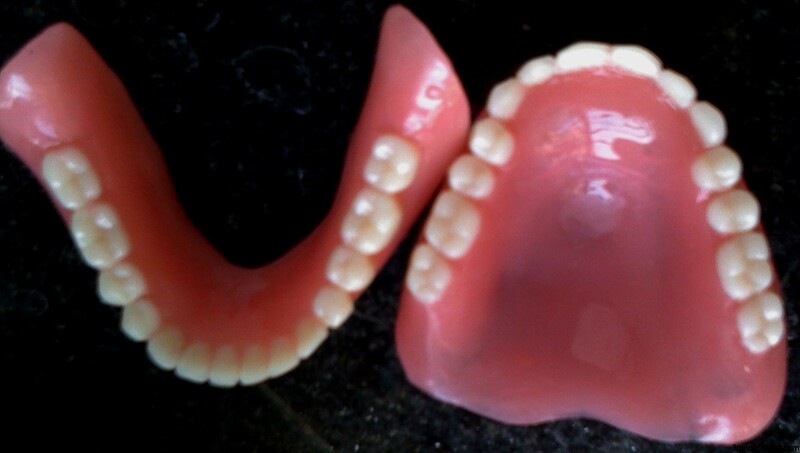 Thanks for sharing the ways to clean dentures properly and safely. Some of them i am suggesting my patients and some of these will definitely suggest to my patients. Keep posting. Nice blog post. Thanks for sharing this post really useful. I am Varun, a Dentist from Hyderabad, India trying my bit to help everyone understand Dental problems and treatments and to make Dental Education simplified for Dental Students and Dental fraternity. If you have any doubts feel free to contact me or comment in the post, thanks for visiting. Juniordentist.com is intended for educational, informative and entertainment purposes only. It is not intended to replace your Dental Visit. Only a proper dental Checkup by a professional in person can help diagnose the problem you are suffering from and help give you the required treatment. You should always understand that a Patient to Doctor interaction is the only way to properly diagnose the problem and decide its cure. © 2019 JuniorDentist.com. All Rights Reserved.